Last month, SLO Cal, the tourism marketing arm of San Luis Obispo County, announced that in 2017, visitors spent a record $1.75 billion in the area. The dollar value of all the money spent on accommodations, food, retail, arts, entertainment, and recreation by tourists is up 21 percent from just five years ago. To some community members, the statistic illustrated a simple fact hiding in plain sight: SLO County's clout as a globally competitive tourism destination continues to grow. GETTING TO WORK Cayucos Advisory Council members John Carsel and Cheryl Conway are seeking tighter regulations on vacation rentals in Cayucos. 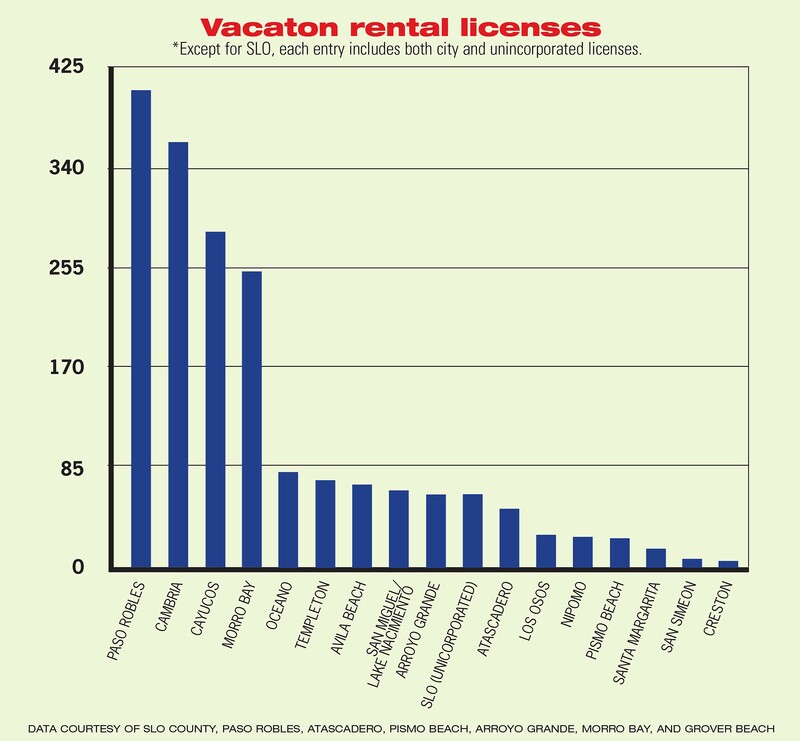 The small beach town has the most vacation rental licenses per capita in SLO County. 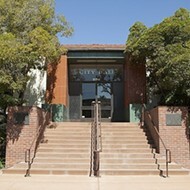 "SLO County has been discovered," said Susan McDonald, chair of the North Coast Advisory Council, a citizen board representing Cambria and San Simeon to the county. "Countywide, there's a huge promotion of tourism ... and we've had an increase in tourism." With one of SLO's other top economic drivers, the Diablo Canyon Power Plant, soon to leave the area, the growth of the tourism sector is an encouraging sign. At least that's the way SLO Cal sees it. The agency that uses funding from an assessment on the lodging industry to market the region to the world is cognizant that the health of SLO's future economy is in many ways dependent on its efforts. 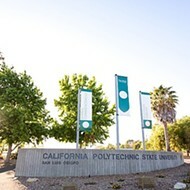 "We're thinking about how tourism can help," said Brooke Burnham, vice president of marketing at SLO Cal. "It's not going to solve that void [left by Diablo Canyon]. But how can tourism help backfill what we're going to lose in that way?" As tourism booms, and the need for that boom intensifies, one of the faster-growing components of the industry is under the regulatory microscope. Vacation rental homes are drawing the attention of local residents and officials as they become an increasingly popular lodging choice for visitors, while they simultaneously test the tolerances of the communities they're in. "You're putting a commercial use in a residential area, and that creates a conflict immediately no matter what. That's the problem," said John Carsel, chair of the Cayucos Advisory Council, a group that has taken an adversarial stance toward vacation rentals in the small beach town. Vacation rentals have become a contentious and vexing issue, "not just here, but all up and down the coast," said Toni LeGras, owner of Beachside Rentals in Cayucos. And LeGras is right. The California Coastal Commission regularly wrestles with vacation rental issues, making decisions that range from approving or denying county and city ordinances that regulate vacation rentals, to considering individual requests for permits to operate vacation rentals. While the Coastal Commission on paper supports vacation rentals as a low-cost way to visit the coast, the issue has become a sticky one for the agency, just as it has for the local areas it oversees. "We need to balance our needs for access to the coast with the need to protect our coastal communities," said Erik Howell, a Pismo Beach City Council member and coastal commissioner. "My concern isn't so much the impact [vacation rentals] are having, it's the impact they could have if their growth is allowed to continue unfettered. Eventually, you start getting negative impacts on what a community really is." Throughout SLO County, residents and officials are grappling with how to manage the tradeoffs of this burgeoning component of the tourism industry. A "vacation rental" is a home rented out for a period of fewer than 30 days that's not the owner's primary residence. It's different from a "homestay," where a property owner rents a bedroom or two on a short-term basis in a home that he or she lives in. According to county and city licensing data, there are as many as 1,900 licensed vacation rentals in SLO County. The official count is likely a little lower, since the city of Paso Robles lumps its homestay and vacation rental licenses together. But the "real" number is likely much, much higher if you include unpermitted vacation rentals in the total. In the first year of a county contract with consultant Host Compliance to monitor unlicensed vacation rentals, 611 property owners were found advertising without a license. Online platforms like Airbnb have made it easier for homeowners to advertise their properties and for travelers to find them. And with 13 percent of SLO County homes already vacant—one of the highest rates among counties in the state, according to the SLO Council of Governments—the vacation rental market appears to be blossoming with the technological revolution. Between 2010 and 2018, the number of licensed vacation rentals spiked 250 percent. "[Vacation rentals] are definitely part of the lodging mix," noted Burnham of SLO Cal. "It's an expected amenity from travelers." The communities where licenses have proliferated are some of the most well-known tourist destinations. Paso Robles (406), Cambria (362), Cayucos (285), Morro Bay (253), and Oceano (82) are the areas with the most licensed vacation rentals. Creston (6), San Simeon (7), Grover Beach (15), and Santa Margarita (16) are at the bottom of the list. Factoring in population, Cayucos has one vacation rental license for every nine residents, and Cambria has one for every 17. In Morro Bay, it's a license for every 43 residents. In Oceano, one per 89 residents. The areas with higher concentrations of vacation rentals are, by and large, the ones where residents and officials are pressing for stricter regulations. Morro Bay currently has a moratorium in place on new vacation rentals. SLO County passed a vacation rental and events ordinance in 2016 for the Adelaida area (near Paso Robles) that established permitting and operation requirements. Residents in Cayucos and Cambria are pushing for more restrictions. "The problem we see is we can become a town of nothing but vacation rentals," said Carsel, of the Cayucos Advisory Council. "That's why you're getting the opposition." While some see the licensing data as an indication that vacation rentals are oversaturating communities, industry advocates claim the numbers are somewhat misleading. They point out that 40 percent of the local vacation rentals don't rent at all. In addition, some of the active rentals might have already been active before they got licensed. Jeff Edwards, a local real estate agent who represents coastal vacation rental owners and applicants, believes the inactive licenses can be explained by homeowners or brokers who obtain them to boost the property value and residents who get them merely to prevent houses around them from becoming rentals. The latter theory, which was also noted in a 2015 grand jury report on the subject, applies in Cayucos, Cambria, and Avila Beach, where vacation rentals are regulated by distance requirements, so that neighboring houses can't all become vacation rentals. "When we talk about numbers and so forth, there's no real increase in the available vacation rentals in Cambria and Cayucos," Edwards argued. While it's difficult to quantify the exact growth rate of the county's vacation rentals, the tax revenue paid by the market is climbing, according to data provided to New Times by local governments. 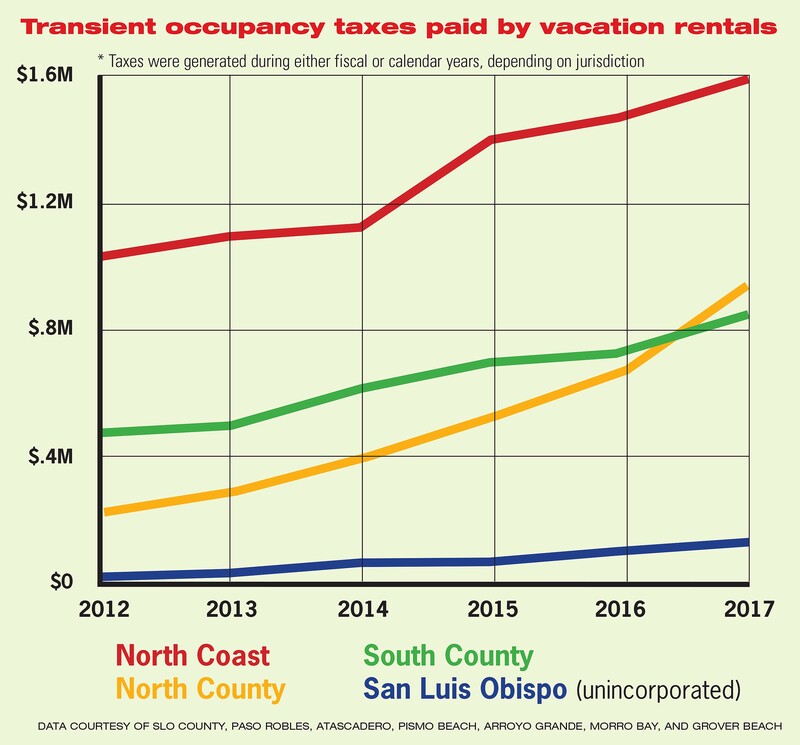 In 2017, vacation rentals generated $3.7 million in transient occupancy taxes (TOT) for the county and cities, more than double what they yielded in 2012 at $1.8 million. By region, the North Coast generated the most TOT last year at $1.6 million, followed by North County at $938,582, and South County at $861,732. With the industry growing countywide, each community and local government is handling it differently. Some are rehashing debates battled out years ago. LeGras, owner of Beachside Rentals, keeps a stack of binders in her office off Cayucos' main drag that hold years of research on vacation rentals. One of the first things she notes, while holding a 20-year-old newspaper clipping, is that the issue isn't new to the North Coast. Vacation rentals have been a subject of community debate since the 1990s, which resulted in an ordinance for coastal vacation rentals in 2003. 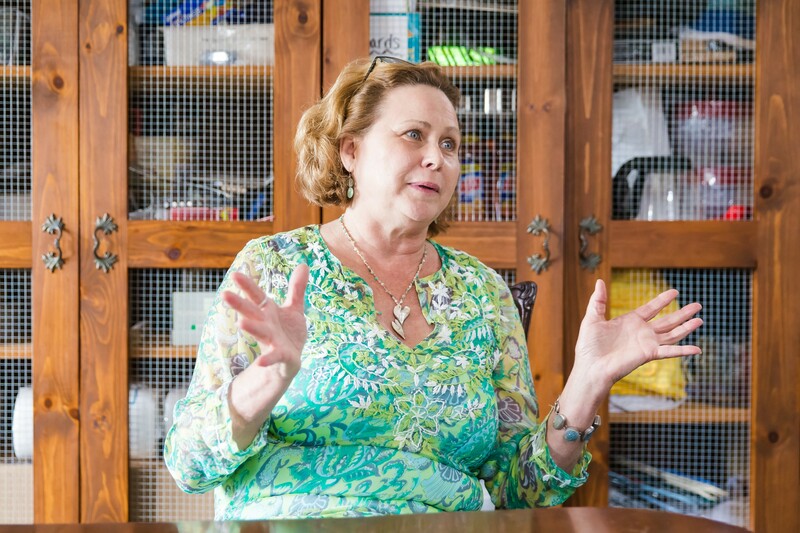 REPRESENTING RENTALS Beachside Rental owner Toni LeGras discusses vacation rentals in her office on Cayucos Drive. LeGras, who manages about 30 vacation rentals, is concerned about how tighter regulations could impact the local economy. "We've been here for a long time," said LeGras, who employs a small team of locals and manages about 30 vacation rentals. "It's been a back-and-forth. A few years ago, Airbnb came on board and created a lot of issues for all of us." Airbnb's emergence on the scene put LeGras and other local property managers at a competitive disadvantage, she said, as the county struggled to hold the website and its users accountable for listing unlicensed homes and not paying taxes. 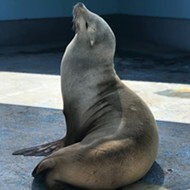 It also alarmed Cayucos residents who noticed the growth. LeGras feels the backlash, and she's concerned that an overreaction by policy makers will hurt the local economy. "To me, what they're trying to do is change [Cayucos] by eliminating something that's been part of this community since the '60s," she said. 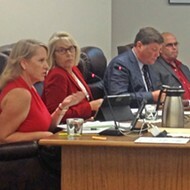 Carsel and Cheryl Conway, both Cayucos residents on the community advisory council, acknowledged that they are seeking stricter limits on the industry. In a back-and-forth at a recent county Board of Supervisors meeting, Carsel told Supervisor Lynn Compton that he'd prefer to see no vacation rentals in Cayucos. He added that he knew it wasn't realistic, given that there are already 285 licensed. "I always look at Cayucos as the last funky beach town left alive in California," Carsel told New Times. "People will pay to come to Cayucos because of that community. It's the age-old story of do we destroy the community that we like to see?" 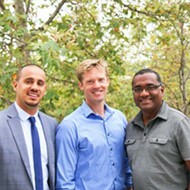 Carsel and Conway's primary concerns are preserving the residents' quality of life and sense of neighborhood character. Noise disturbances and a lack of parking are the primary issues, and they say neither are easily enforceable. Conway said she doesn't have a problem with every vacation rental, only the bad apples. "There are vacation rentals that people don't even know are vacation rentals because the people who come in are respectful to the community and are coming in with their families," Conway said. "Then you have those who come in and it's hell week." Both Cayucos and Cambria are grappling with a similar policy problem that's put pressure on the system. The towns are saturated with vacation rental licenses to the point that homeowners seeking new licenses find themselves located too close to an existing one. A provision in the ordinance, though, allows them to apply for a minor use permit to get exempt from the setback rule (at least 50 radial feet from another licensed property in Cayucos and 150 feet in Cambria). Those appeals are trickling into the county supervisor chambers at a higher clip in recent years. 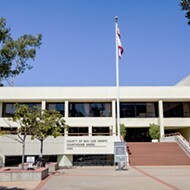 Residents like Carsel and Conway and 2nd District County Supervisor Bruce Gibson want to hold firm on the principle of the rules, while applicants and their representatives question the fairness of rejecting new licenses while nearly half of the existing ones aren't being used. "To address the preemptive licenses and to avoid the commodity value of these licenses, I think our county should consider [making] licenses sunset with the sale of the property," said Edwards, who's represented several of those applicants to the county. Both sides of the issue seem to recognize that the current setup has flaws. The Cayucos and North Coast advisory councils say they're in the process of opening new discussions about what tweaks could be made. "We're going to let the community drive that and come up with something that's fair to the residents and the business community, but ultimately protect residents," Conway said. "Do we know what that is yet? No." In his time as a coastal commissioner, Howell says he's noticed how vacation rental debates tend to be unique to the communities that they're coming out of. "Different communities have different tolerances," Howell told New Times. "Like, San Diego is a big enough place where they can have a lot of vacation rentals and it's not really going to change what San Diego is. If Pismo Beach has 1,000 vacation rentals, suddenly we're not really Pismo Beach anymore. We're something else." In May, Howell cast a vote on the Pismo Beach City Council to pass an ordinance that all but bans vacation rentals in the city. They're allowed in single-family homes where the owner lives on-site at least six months of the year. 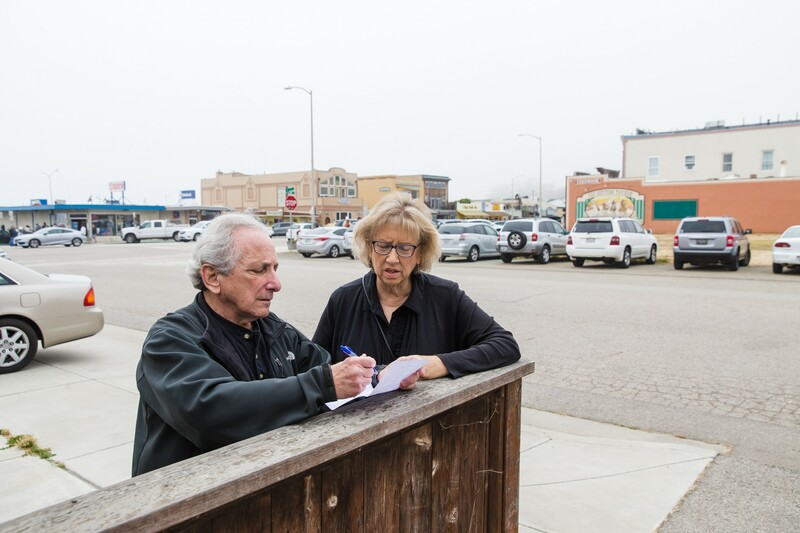 The decision provoked suspicion among critics that the hotel industry, which has lobbied nationally against Airbnb and is critical to Pismo's economy, is playing a hand in those rules. Howell dismissed that and pointed back to the issues of neighborhood wellness and identity. "That's an easy narrative, but it's not really true," he said. "The people interested in Airbnb, it's a different market by and large." Clint Pearce, president of Madonna Enterprises, said that vacation rentals do cut into the hotel industry's share of the lodging market—by about 10 percent he estimated—but added that he doesn't see it as a zero-sum game. As both sectors provide quality experiences for tourists, the long-term outcome should be more visitors and business for everyone. His main concern is that vacation rentals follow local ordinances, get licensed, and pay taxes like hotels do. But when cities like Pismo Beach or Morro Bay adopt restrictive ordinances, some feel that the result is restricting the public's access to the coast. "Vacation rentals are an affordable option for families," LeGras said. "I grew up in the Central Valley; it's polluted and overcrowded. People come here to stay with their families. You want to stop that?" Vacation rentals aren't just a focus of the coast. Paso Robles has been workshopping a draft vacation rental ordinance for more than two years without adopting anything. City Community Development Director Warren Frace said the sticking point is whether to set density or distance restrictions, like in Cayucos and Cambria. SLO city decided years ago to ban vacation rentals, but allow homestays. Arroyo Grande does allow vacation rentals, while Grover Beach plans to tackle the issue in the upcoming year. Another argument for limiting vacation rentals is to alleviate pressure on the long-term housing market. Every unit set aside as a vacation rental is a unit that can't be occupied by a SLO County resident looking for housing. Supervisor Gibson argues this point, saying that cumulatively it has "a profound effect on housing affordability." During his campaign for re-election this year, he floated a tax on second homes. Skeptics of that theory counter that homeowners who rent out vacation homes often aren't interested in renting their property long term, since they themselves often like to vacation at the property. LeGras compares efforts to halt the Airbnb phenomenon to attempts to ban other subversive commodities like rock 'n' roll music or marijuana. Ironically, she points out, the city of Santa Cruz did briefly ban rock 'n' roll in 1956. Santa Cruz also passed an ordinance last year to ban non-hosted vacation rentals. The Coastal Commission approved it in April.